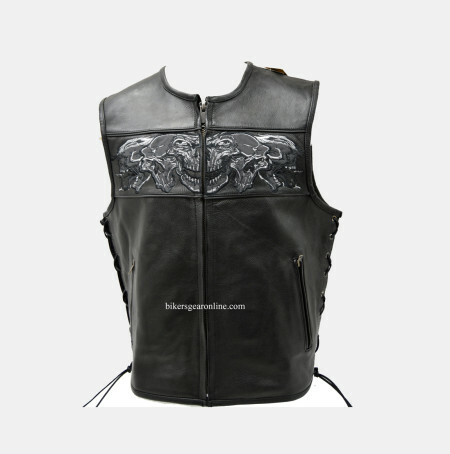 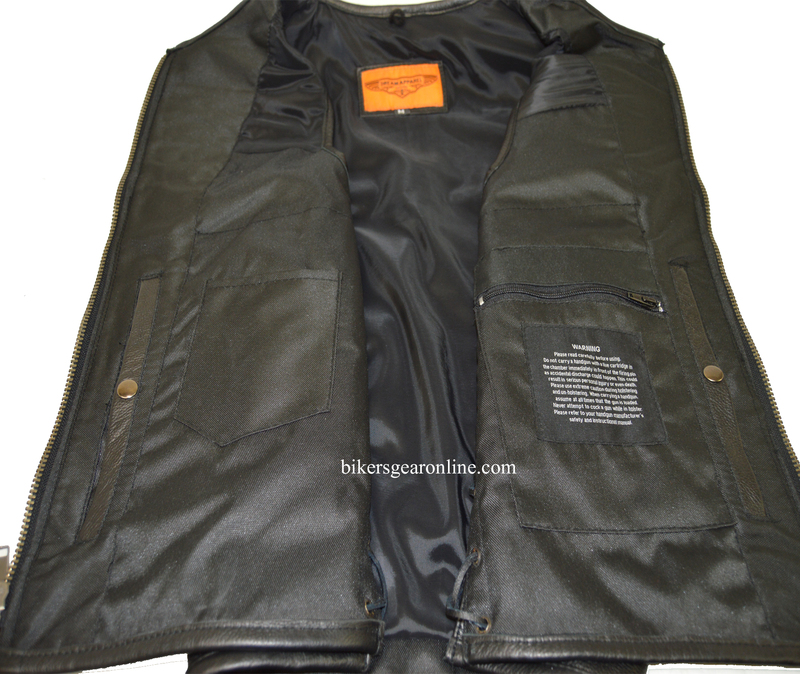 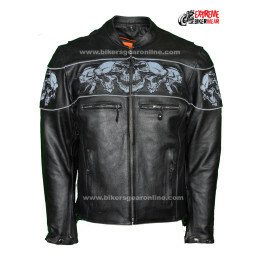 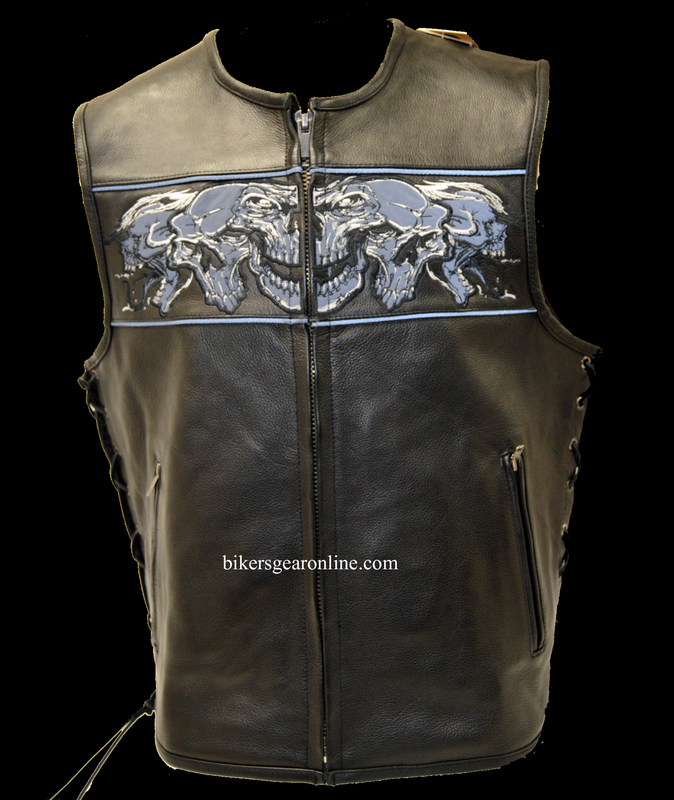 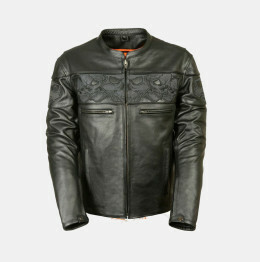 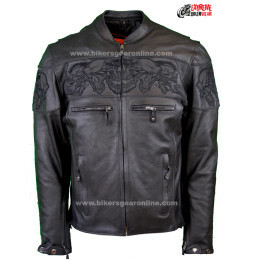 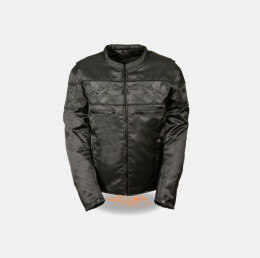 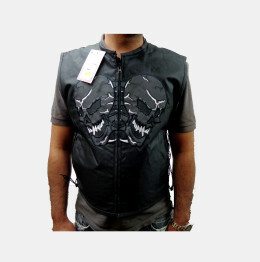 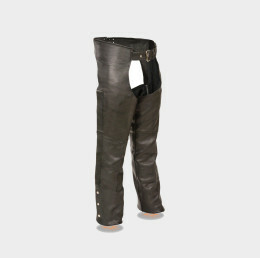 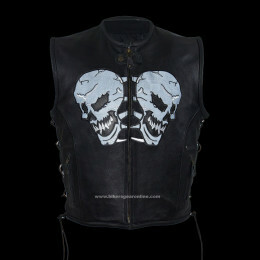 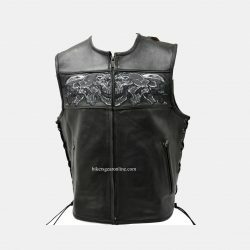 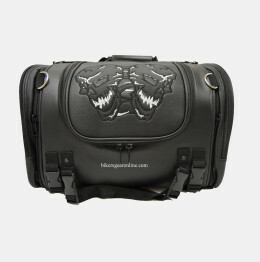 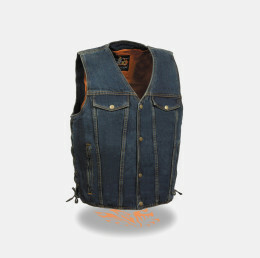 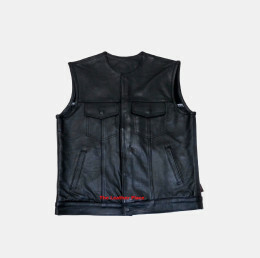 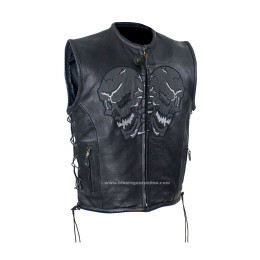 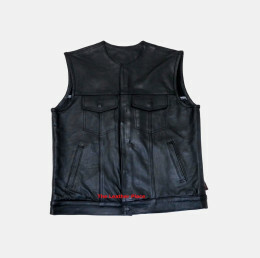 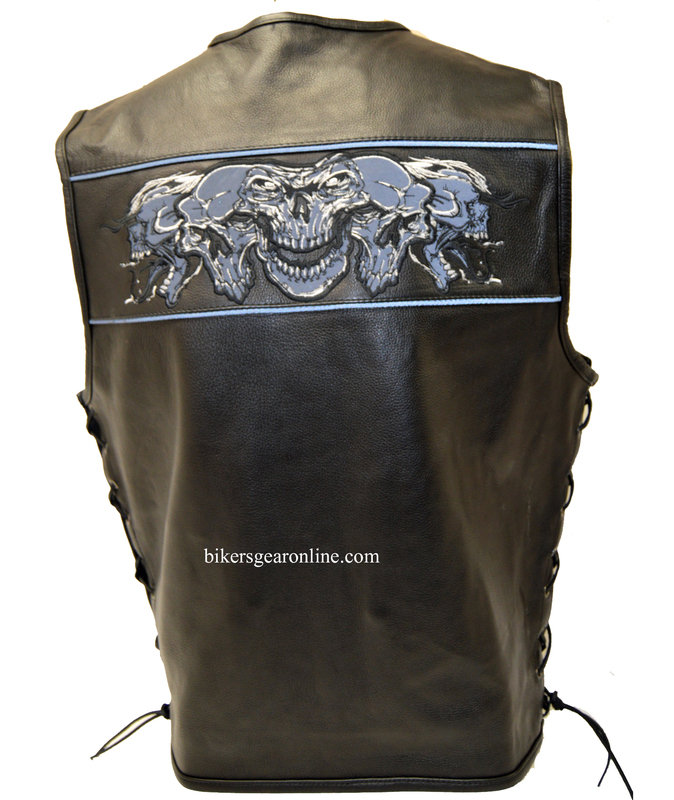 Don’t leave home without bikersgearonline durable black Leather vest with refelctive skulls. 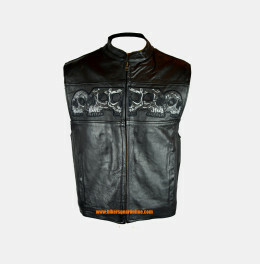 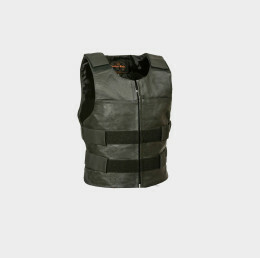 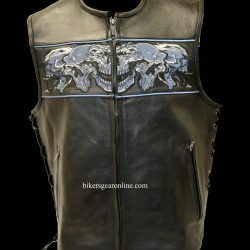 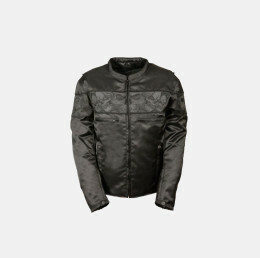 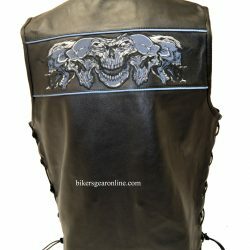 This unique vest features a series of black, reflective skulls side by side on front and back bordered top and bottom by reflective trim for increased night time visibility. 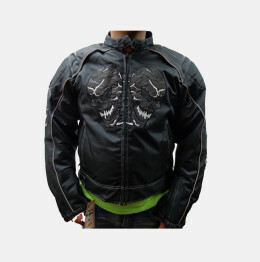 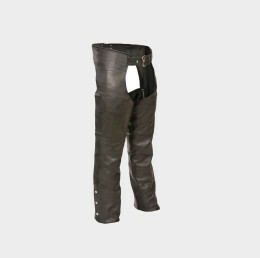 Your comfort’s assured by the soft lining, zippered front closure, and adjustable side laces. 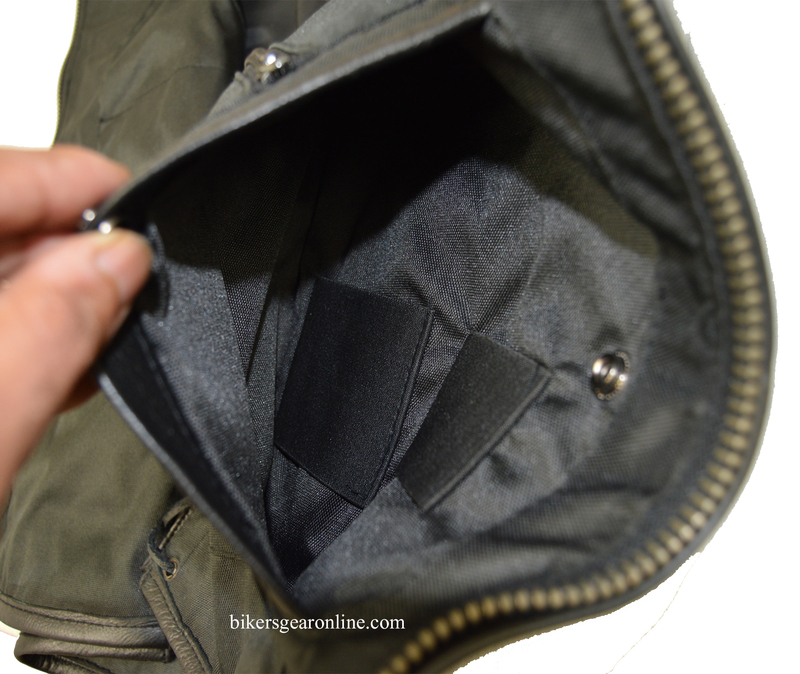 Your personal protection is just as important to us as you being seen at night, that’s why we’ve given you two large button-snap concealed carry pockets with an additional inside slip pocket and zippered pocket. 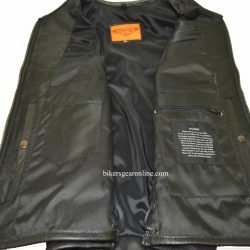 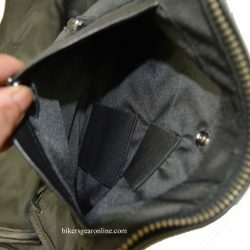 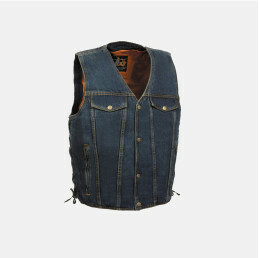 Two deep outside zippered pockets on the waist provide even more room for wallets or keys and complete this truly amazing vest at an unbelievable price.